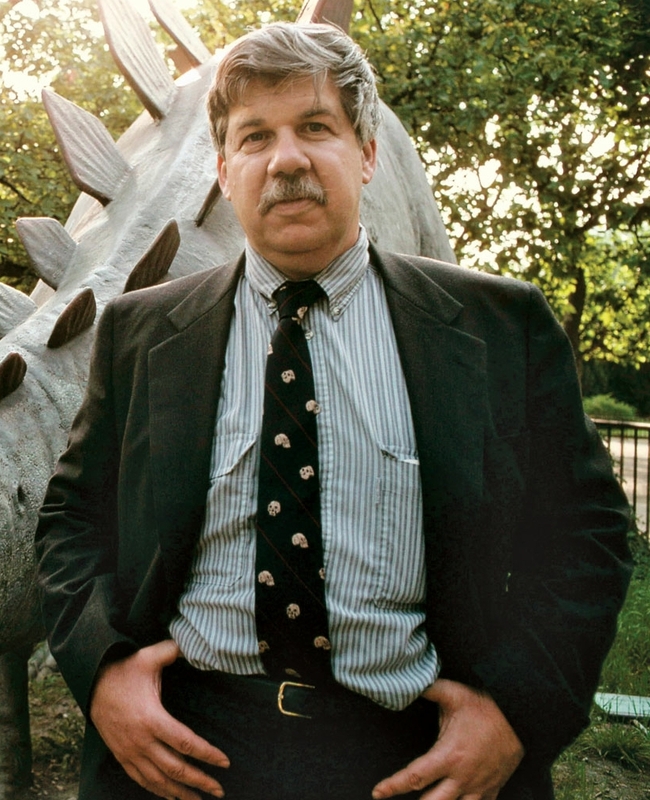 hen five-year-old Stephen Jay Gould first marveled at the towering Tyrannosaurus skeleton in the American Museum of Natural History, he decided to spend his life studying fossils. Although few children in Queens, New York, shared his early fascination for evolution, he never considered any other career but paleontology. A professor at Harvard University and curator of its Museum of Comparative Zoology, Gould attended Antioch College, then returned to Manhattan, for graduate work in paleontology at Columbia University. For his doctoral thesis he investigated variation and evolution in an obscure Burmudian land snail, anchoring his later theorizing in intense scrutiny of a single group of organisms, as Darwin had done with Barnacles. At one point, he hoped to find correlation between variation and different ecologies within the creature's range, but the snails' sizes, colors and shell shapes seemed to vary quite independently of local environment. Impressed with the importance of nonselectionist factors in evolution, he also became interested in structural constraints: How slight changes in one feature must alter several others within definite limitswhat Darwin had called "correlation of parts." Gould also became interested in distinguishing incidental features from adaptive ones. He coauthored (with Richard Lewontin) an influential paper inspired by the spandrels of certain medieval cathedrals: Geometric architectural features decorated with impressive religious paintings. While art historians had analyzed their distinctive aesthetic, most had forgotten the spandrel's humble origin as an unavoidable engineering consequences of stress distributiona structural byproduct of constructing that kind of dome. As a biological example, Gould points out that the human chin, often cited as "advanced" in comparisons with "lower" primates, holds no special correlation with higher intelligence. It is, like the spandrels, an incidental result of stress and growth factors in the human jawbone. Although Gould has become closely identified with the influential idea of punctuated equilibrium, it actually originated with paleontologist Niles Eldredge and was developed by them jointly. Eldredge's detailed studies of trilobites brought home to him a pattern that had impressed Thomas Henry Huxley: The fossil record seems to show "bursts" of speciation, then long periods of stability. Darwin's reply was that the fossil record was then too sketchy and incompletely known to provide evidence of pattered rates. But vast accumulations of paleontological evidence over the last century do not support Darwin's case for a steady, gradual evolutionary rate. Eldredge's trilobite series suggested, instead, relatively short episodes of rapid evolution followed by long periods of stability, confirming Huxley's impression. Gould enthusiastically agreed; it was time to acknowledge that such episodic patterns in the rocks probably reflect the reality of life's history. By the 1980s, "Punctuationalism" had become widely adopted and was proving to be a fruitful hypothesis for generating new insights and research. Although one of Gould's lifelong heroes is Charles Darwin, whose achievements he has celebrated in such books as Ever Since Darwin (1977) and The Panda's Thumb (1980), he is irreverent toward the orthodox Synthetic Theory of evolution that has prevailed in biology since the 1940s. Dissatisfied with the limits of its explanatory power, he is open to exploring other possible mechanisms and approaches to supplement traditional natural selectionto the dismay of more conservative colleagues. One of his approaches has been to emphasize the hierarchy of levels on which evolution operates; biochemical, genetic, embryological, physiological, individual, societal, species, lineages. Sorting or selection on any of these levels, he believes, produces significant effects on the level above or below ita promising and largely unexplored area for future research. Yale paleontologist Elisabeth Vrba and others agree with Gould about the importance of such hierarchical studies. Among opponents of punctuationalism, a few (Richard Dawkins, Verne Grant) complain Gould has set up a "straw man" of Darwinian gradualism and that jumpy or "quantum evolution" was discussed years ago by Ernst Mayr and George Gaylord Simpson. Examples of Darwin's self-contradictory fudging are easy to find, but Gould maintains that change "by slow, insensible degrees" remained central to Darwinian thought. And while acknowledging his predecessors' insights, Gould argues that often it is a shift of emphasis and focus rather than a radically new idea that leads to deeper scientific understanding. Gould's success as a popular author is another tempting target for critics; he does not shrink from public controversies. He appeared before Congressional committees on environmental issues, was a courtroom witness in the Arkansas Scopes II trial regarding teaching of evolution in the public schools and is prominent in speaking out against pseudo-scientific racism and biological determinism. 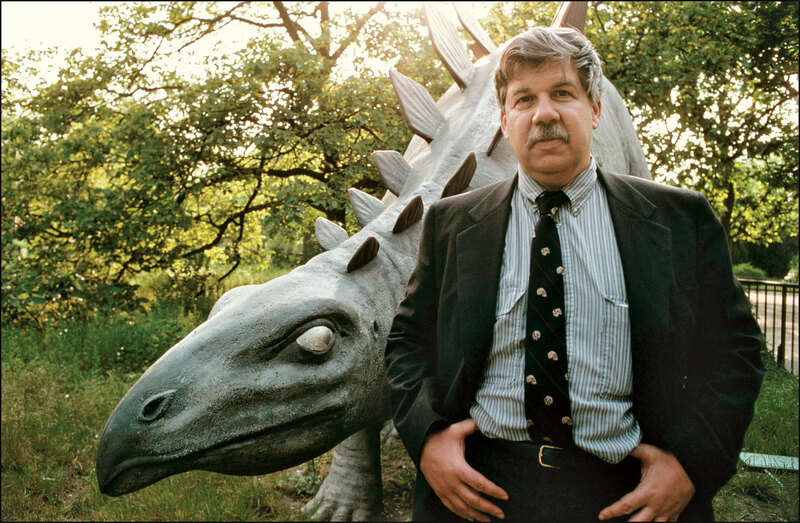 But even one of his most adamant detractors, Robert Wright, while recently attacking one of his books in the pages of The New Republic, grudgingly began his diatribe: "The acclaim for Stephen Jay Gould is just shy of being universal . . . He is, after all, America's evolutionist laureate."